Marguerite is passionate about governance, democracy and participation. She believes that democracy is both a privilege and a responsibility many continue to hope for around the globe and that needs to be nurtured and protected. In her role at Auckland Council, Marguerite ensures that Auckland’s local democracy is robust, transparent and vibrant, and she believes the active participation and engagement of the many communities that make up this super-diverse city is an integral part of it. Her responsibilities include among others supporting the Governing Body in its decision-making, organising the local body elections and recruiting and organising the six demographic advisory panels which help Council engage with and meet the needs of Auckland’s diverse communities. Before joining Auckland Council Marguerite held several senior leadership roles at the Ministry of Justice and the State Services Commission. 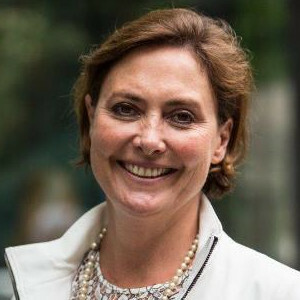 Prior to that she worked for several corporates in strategy, business development and performance improvement roles, including spending seven years with Ernst and Young in three countries. Marguerite developed a passion for democracy in Cambodia in the 1990s when she joined the UN to organise the first free and fair elections after 25 years of war. She was also an international observer for the first multi-racial elections in South Africa in 1993. Born in France, Marguerite arrived in New Zealand in 1995 and has been a New Zealand citizen since 2000. Marguerite has a Masters in Public Management from France and an Executive Masters in Public Administration from Victoria University (through the Australia-New Zealand School of Government). She is a keen sailor and regularly practices yoga and meditation.